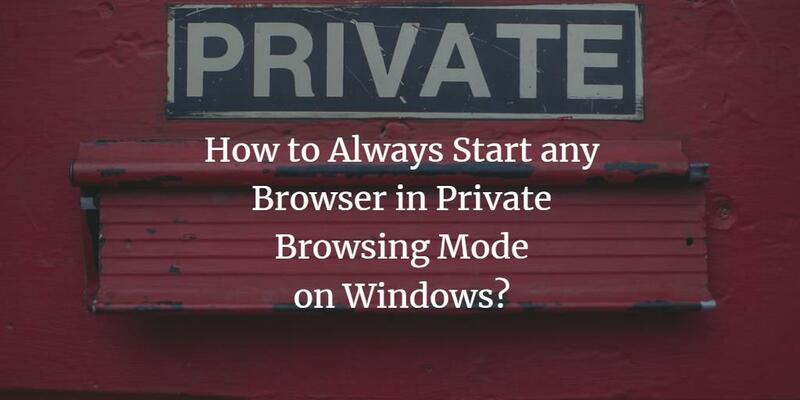 A question often arises in our minds that what is private browsing or privacy mode. The answer to this question is very simple and that is private browsing refers to the surfing of web browsers without leaving any mark of your browsing history. This prevents people from knowing what you were browsing on the internet as this mode disables the browsing history and web cache features. Moreover, this mode also not let your browser to save cookies and search history. Every browser has its own way of enabling private browsing mode and the ways for enabling this mode for some of the most commonly used web browsers are given below. Right click on the shortcut of Google Chrome and from the cascading menu, click on properties. Write -incognito at the end of the Target text box. 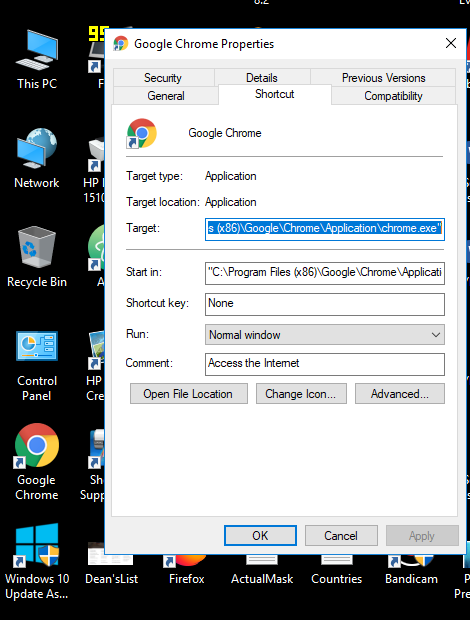 Now your Google Chrome will always open in Incognito mode unless you change it otherwise. 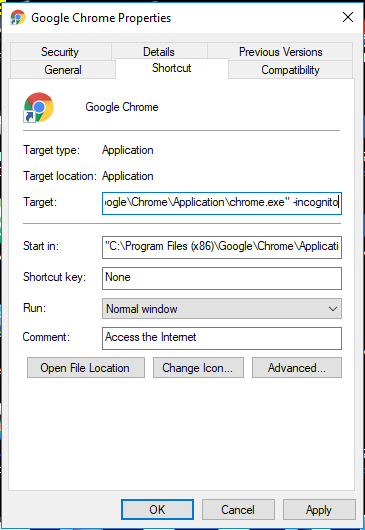 To disable Incognito mode of Google Chrome, just remove -incognito from the Target text box and click OK. 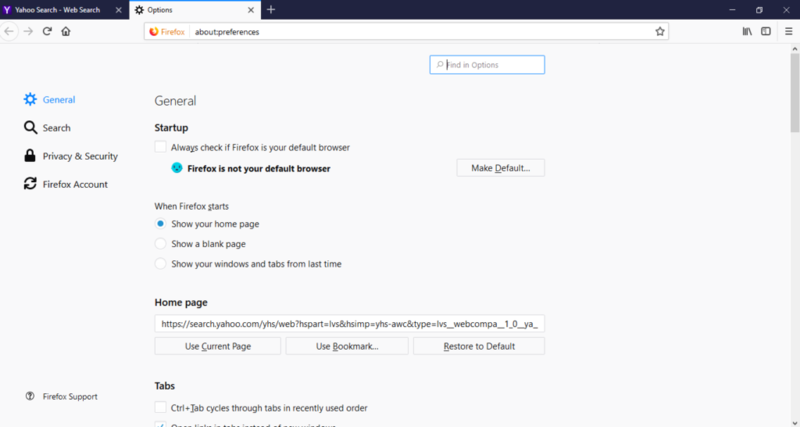 Launch Firefox from its shortcut menu. Click menu and then select Options to open it. Then click on Privacy and Security tab. Under the dropdown menu of History, select Never remember history. A message will be prompted to restart your Firefox. After this, your Firefox browser will always open in Private Browsing mode unless you change these settings. 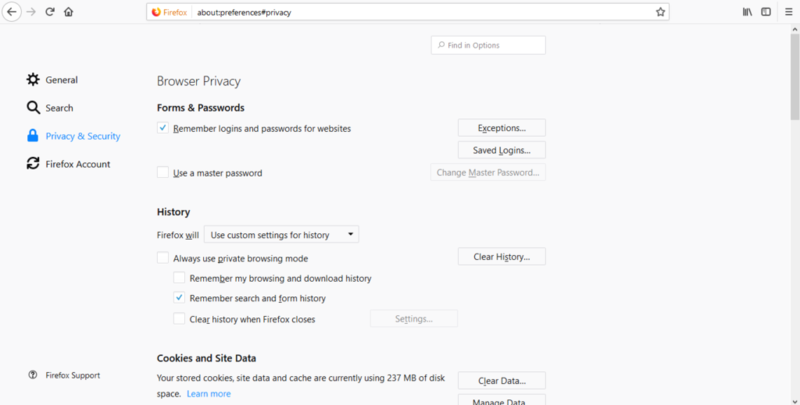 To exit from Private Browsing Mode of Mozilla Firefox, just select Use Custom Settings for History under the History dropdown list. Launch Safari from its shortcut. From menu, click on Preferences. In the General tab, select A new private window from the dropdown list of Safari Opens With. Now, your Safari browser will always open in Private Browsing mode till you change its settings. To exit from Private Browsing mode of Safari, just select A New Window from the dropdown list of Safari Opens With. 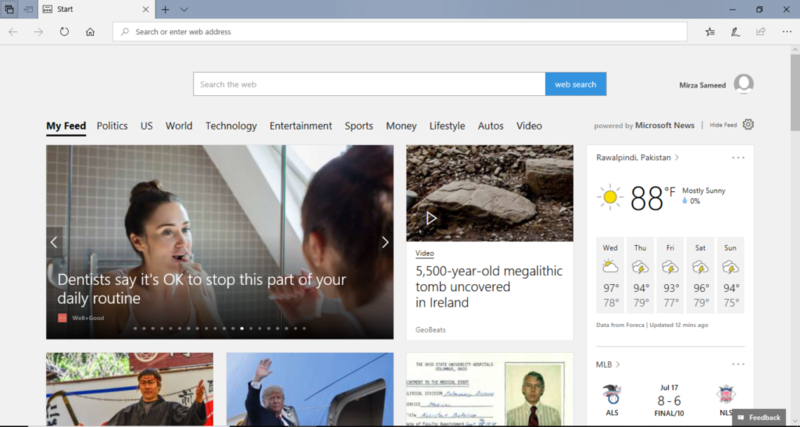 Launch Microsoft edge from its shortcut. Now, you’re all set to use InPrivate Browsing mode as long as your current browsing session is retained as already mentioned earlier. Whenever you’ll open a new window, you’ll automatically escape out of InPrivate Browsing mode of Microsoft Edge. 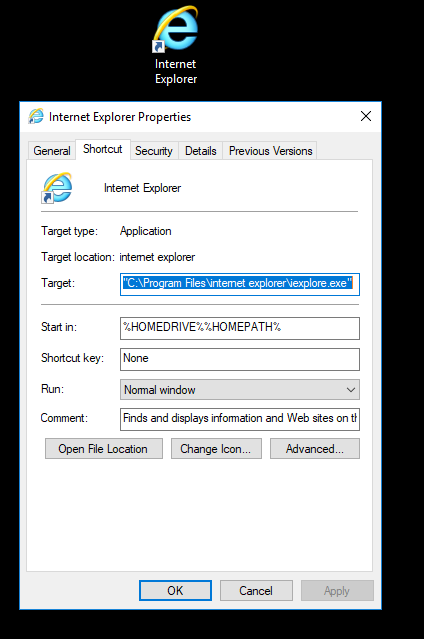 Right click on the shortcut of Internet Explorer and from the cascading menu, click on properties. Write -private at the end of the Target text box. Now your Internet Explorer will always open in InPrivate Browsing mode unless you change it otherwise. 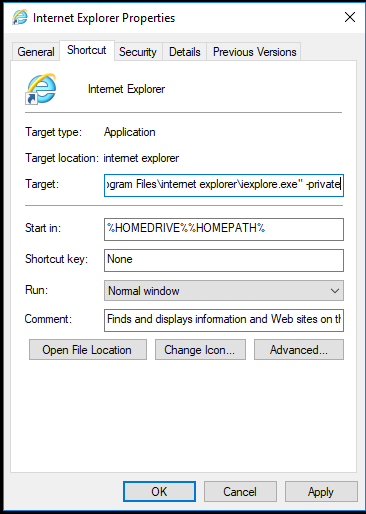 To disable InPrivate Browsing mode of Internet Explorer, just remove the –private word from the Target text box and click OK to save the changes.